Isn't he adorable! Meet REMI! He is a 2.5 year old mini-parti- poodle, about 10-12 lbs. He has just been released from the grips of a breeder and is looking for his forever life to be treated with LOVE, KINDNESS, CUDDLES and good healthy non- grain foods. Remy walks nicely on the leash, seems to have a smile on his face and he PRANCES around wherever he goes.....This doodle is called a Phantom, Parti Mini- Poodle because of the outstanding markings. If you are sure you meet those qualifications please make an application for Remy. 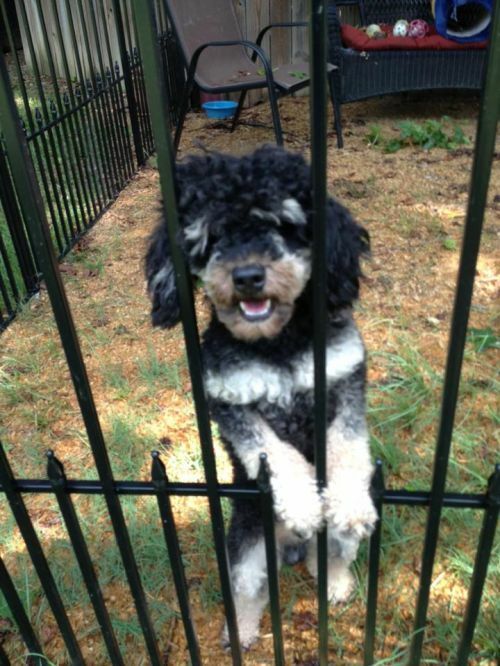 We also have another mini poodle up for adoption coming from the same breeder. Did you see our mini poodle, ROCKY? ....go check them both out and it is OK to make ONE application for both just be sure you put that on the top line and if you have a preference note that too. More info will follow as it becomes available...Please be patient with us we are all volunteers and rescuing dogs take a lot of people to coordinate the dog's forever homes.